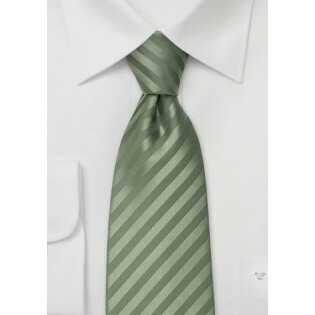 This muted green tie is woven with a single green yarn with a reverse weave, to achieve the two shades of green. The shiny stripe adds a bright, inviting tone. Parsley Luxury Neckwear designed this handmade tie from 100% silk. 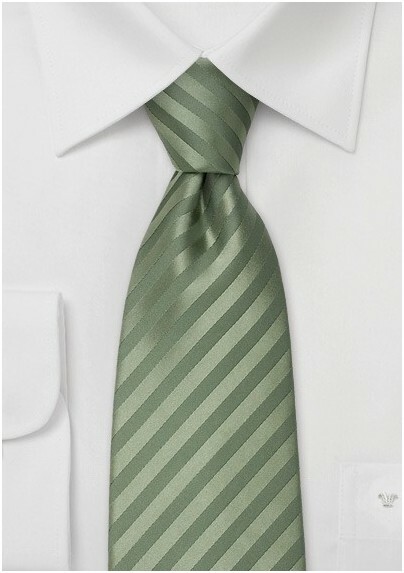 The darker green of this tie is paired well with crisp, white shirts, and light brown or gray suits. You can also explore shirts in solid colors of cream or tan and suits of warm brown or tan.